Chances are you have driven, biked, run, walked, or partied on Kelly Drive, but have you ever wondered where it got its name? No, it’s not named for Grace Kelly, movie star and princess. 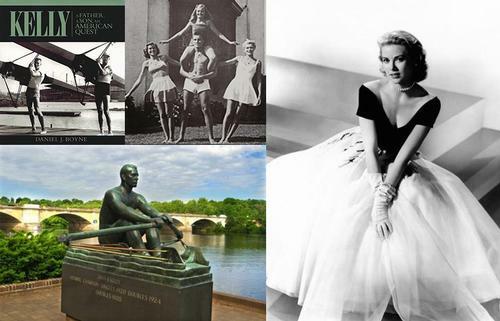 It’s named for her brother, John B. Kelly, Jr., three-term city councilman, Olympic rower, and 1947 winner of the James E. Sullivan Award as top amateur US athlete. And that bronze statue of a rower that graces the drive near the finish line of the Schuylkill River regattas is their father, John B. "Jack" Kelly, Olympic sculling champion and former chairman of the Fairmount Park commission. Jack Kelly was born in 1889, one of ten children to Irish immigrants from Mayo county. When he went into politics, he traded on his "rags to riches" story as a poor farm boy who dropped out of high school to apprentice as a bricklayer and help feed his family. In fact, he went to work for his two brothers, Patrick and Charles, who owned a successful construction company. His other brothers were also headed for success—Walter, as a vaudevillian, and George, who became a Pulitzer Prize winning playwright. Jack really quit school to focus on his passion for rowing and he took that passion about as far as it could go. In 1920, he won both the single and double sculls at the Olympics—the only man in history to do so—and in 1924, he repeated his victory. He won 126 straight races in 1919 and 1920, and is considered one of the best oarsmen of all time. He is the only rower in the Olympic Hall of Fame. Jack Kelly did eventually become a union bricklayer, borrowing $7000 from Walter and Charles to start his own brickwork contracting firm, John B. Kelly, Inc. He built it into one of the largest brickwork contractors in the country. He was active in Democratic politics at a time when the Republicans had a lock on Philadelphia and in 1935, he came within 49,000 votes of becoming mayor. Margaret Majer Kelly, born to a German Protestant immigrant family, was a swimming champion who became the first female athletic coach at the University of Pennsylvania. She and Jack knew each other for 10 years before she converted to Catholicism and married him in 1924. Their family grew quickly with four children born in the next 9 years: Peggy, Jack, Jr., Grace, and Lizanne. In 1929, Jack Kelly built his mansion. It was brick, of course, and built by his company, with 15 rooms and a back yard with a tennis court that was flooded to become an ice rink in winter. It resembled the mansions of the Main Line, but Irish Catholics were not welcome in that WASP enclave, so the Kellys settled in blue collar East Falls. Athletics were part of family life and something that Jack, Jr. in particular, excelled. He followed his father’s footsteps and competed as an oarsman in four Olympics, winning a bronze medal at Melbourne in 1956. He also won the prestigious Diamond Sculls at the Henley Regatta in 1949 and 1950, a race his father had been banned from because he was a "working man" and therefore, not an amateur. Jack, Jr. worked hard to support amateur sports all his life, was a three-time Philadelphia City Councilman, and at his death was president-elect of the U.S. Olympic Committee. 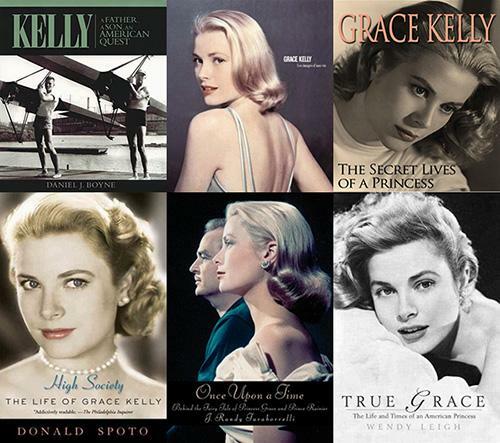 Grace Kelly later won an Academy Award, but she was not the star of her family growing up. She was the quiet one in a family of extroverts. And while she did learn to swim and play tennis, Grace could never keep up with her athletic siblings. Her parents did not encourage her interest in acting, but in 1947 she moved into the Barbizon Hotel for Women in New York City and enrolled at the American Academy for Dramatic Arts. She worked as a professional model in print and television commercials to pay her expenses. After graduation, she acted in tv drama anthologies such as Studio One and Armstrong Circle Theater. These anthologies were a staple of television in the 1950s and a springboard for many actors, writers and directors, including Art Carney, Jack Lemmon, Rod Serling, Walter Matthau, James Dean, and Robert Duvall. 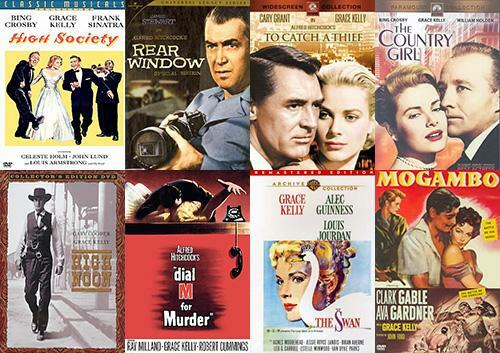 Grace Kelly played over 50 roles in these shows before securing her starring roles in major movies such as Rear Window, To Catch a Thief, High Society, and The Country Girl, for which she won an Academy Award. At the peak of her career at the age of 26, Grace Kelly stunned the world by giving it all up to marry Prince Ranier of Monaco and become Princess Grace. The wedding in April, 1956 took place in Monaco and lasted 2 days. The cost of the wedding was partially covered by the $2 million dowry her family was required to pay. MGM allowed Grace out of the seven remaining years of her contract in exchange for the right to film the entire wedding. Grace’s engagement ring was a 10.47 carat diamond. You can see it for yourself in her last movie, High Society. Her wedding dress, designed by Helen Rose of MGM, is in the permanent collection of the Philadelphia Museum of Art. Next time you are traveling down Kelly Drive you might want to take a small detour to 3901 Henry Avenue in East Falls to see the Kelly mansion and the historical marker in front of it. After the family sold it in the 1970s, the house fell into disrepair. When it was put on the market again in 2016, Grace’s son, Prince Albert of Monaco, bought the house to serve as the regional offices for the Princess Grace Foundation. He plans to open the house for public events beginning in 2018.